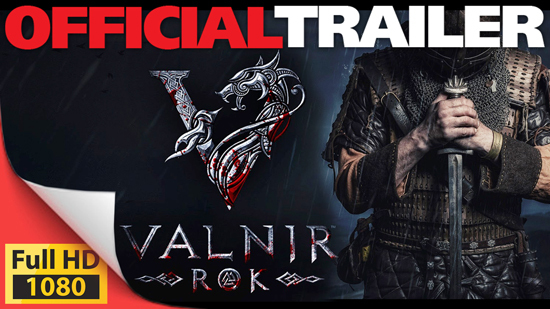 Valnir Rok is an online sandbox survival roleplaying game inspired by Norse mythology. Players will awaken to find themselves on Valnir Island and must do whatever it takes to survive in a land of wild animals, mythical beasts, and violent men. As a hardened Viking warrior, butcher your enemies in bloody combat, build and improve village structures, and form a clan to expand your power and reputation. Battle against opposing clans, place bounties on hated enemies, and discover ancient artifacts to gain favor with the gods with great deeds and holy sacrifices. Might makes right in the Viking world of Valnir Rok. Might of the Gods: The actions you take will grant you favor with the three local Norse gods of Valnir. Earn their favor and be greatly rewarded... or betray them and receive divine retribution. Grand Quest System: Experience Viking lore as you complete quests written by award-winning author Giles Kristian or create your own quests for a completely customized experience. Craft and Discover: Scavenge and combine resources to create unique crafting recipes. A plethora of craftables are waiting to be discovered. Players can craft everything from a complete arsenal of weapons to full thriving cities. Explore Valnir Island: Discover living cities filled with NPC’s to help guide players on their journey – then raid and pillage them! Traverse crystal-lined caverns and investigate the skeletons of giant beasts. Celebrate your clan's great deeds and conquests with drinking contests to see who can still stand while being drunk! Valnir Rok is now available on Steam for the promotional launch price of $17.99 (regular price at $19.99).